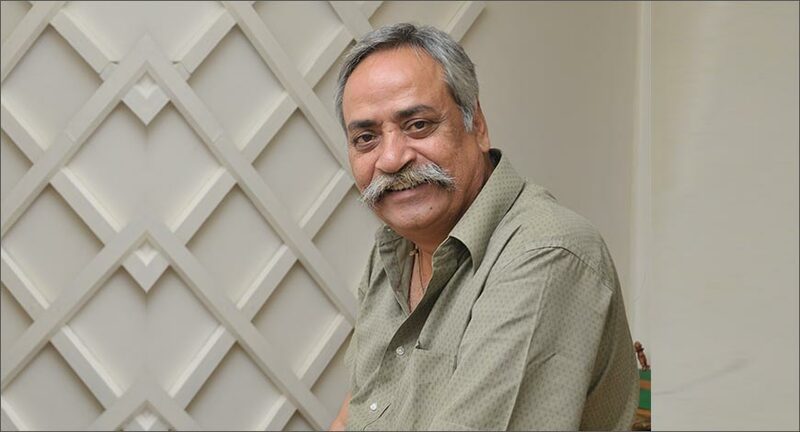 The appointment of Piyush Pandey to the role of Global Chief Creative Officer came in as an important milestone not just for Pandey and Ogilvy India but for the entire Indian advertising community. It puts India on the world map like never before. Pandey’s mentees, competitors, those who have only known him through his work and those who have been working hard hoping that someday he will take notice are all overjoyed over his elevation, which makes him the first Indian to hold such a position. This a matter of huge pride for all of us. Ogilvy is totally wrong if they think Piyush belongs only to them. He belongs to every agency in India. Whichever agency we have all been in, we have thought of him as the unseen creative director whom you want to impress. At Cannes this year, when he was winning the Lion of Saint Mark and I was about to win the Gold Lion in the Glass category, he gave me a kiss on my forehead and said “Shabaash.” That congratulations he gave me and the way he said “shabaash” recharged my batteries that evening. Last year, I had done an activation for Horlicks Kota. And I was delighted when Piyush included that work in his year-end address on the top five campaigns of the year. I am still flying high. His appointment as the global creative chief of Ogilvy also proves that no work is too Indian to be recognised globally. The point is that when you are true to the work you do and the work is authentic, it really doesn’t matter. Today, he can guide every other country under the sun because he was so true to his craft. Piyush would always say “Be so good that people can’t ignore you!” And I think the network could not ignore this man any longer. It is a moment of great pride for India because he is possibly the first Indian to be the Global CCO of a big network agency. The Lion of India to the Lion of St. Mark to the Lion of Ogilvy is a wonderful journey. And one that gives us all something to aim for. I started working with Piyush in 1996 as a Senior AE on Pidilite, and circumstances were such that I worked with him directly. I still remember how I would get a call on Tuesday mornings at 6, asking me to come over to his house because he had an exciting idea on Fevicol or Fevikwik and he could not wait to share it. Why this stands out is that he did the same even when I had become the Head of Mumbai. His consistent energy and excitement around a great idea is still there after everything and that’s something that stands out for me. The biggest thing one learns from him is his ability to keep it simple and real. With the world going crazy around social media, data etc… his ability to bring all down to a simple idea that will appeal to hearts and minds is inspirational. But there is a lot to learn and be inspired about beyond just the work he creates. The ability to define roles of each member of the team, making each person feel valued, having your back, creating an environment that makes you fearless to express, an environment that fosters creativity, his relationships with everyone, and above all, his ability to stay grounded, rooted and humble even after achieving the biggest accolades is something that all of us should learn and be inspired by. This is tremendous recognition for Piyush Pandey and India because he has always put India on the world map with is work. He changed the course of the Indian advertising industry by bringing in non-English and non-Western thoughts and ideas into his work. Since then, even the talent entering the industry has seen a shift away from just the convent-educated lot. I have never really worked with him because has been a competitor. But even as a competitor, I have great respect for him. In one of the pitches we did for a client, the client had made a decision to give the job to Ogilvy. When the client told Piyush that the idea from our team looked promising, Piyush requested them to share the idea and upon listening to the idea, he asked them to give the work to us. My respect for him went up 10-fold after this incident. He could have easily dismissed it, but he did not. Eventually Ogilvy and L&K Saatchi and Saatchi shared the client. Like a lot of kids of my generation, I was humming along to "Mile Sur Mera Tumhara" playing on TV, long before I even knew who Piyush Pandey was. Years later, while working on competing brands, one burnt the midnight oil to write funnier stories than the ones he wrote for Fevicol or more insightful scripts like "Har ghar kuch kehta hai", which he wrote for Asian Paints. Perhaps the true measure of the man is in the stories told by people who have never worked with him.